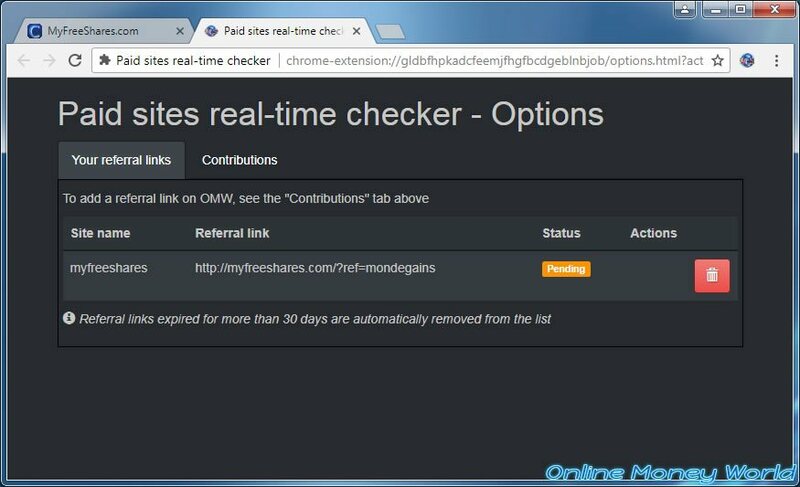 Paid sites real-time checker is a free extension created by Online Money World that allows you to automatically check paid sites visited from your web browser (Google Chrome, Mozilla Firefox or Opera). 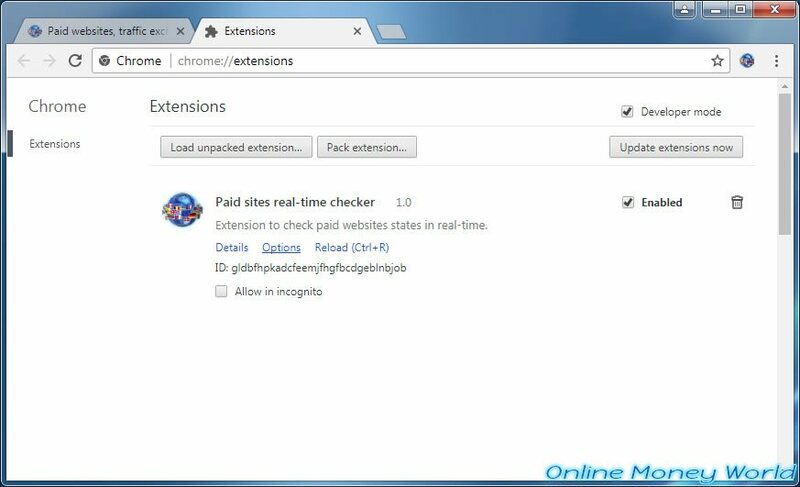 To automatically check the status of paid sites you visit, our extension simply connects to our site. Download our extension for your favorite web browser by clicking on the appropriate button. When you surf on the Internet, our extension checks if the site visited is a paid site referenced on our site. 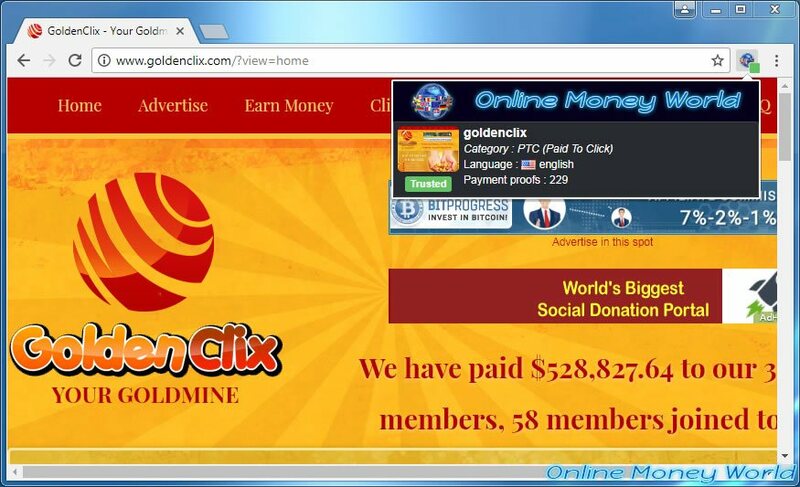 If this is the case, its status as well as some info will be displayed directly in the "popup" of our extension. In addition, to allow you to quickly know the status of a site, a square of color will be displayed on the icon of our extension. 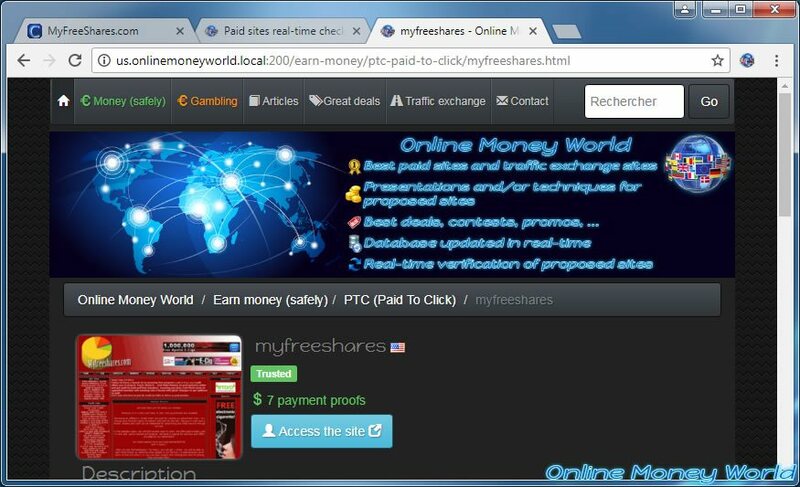 If you surf on a new paid site or a new traffic exchange site that is not yet registered on our site, the visited site will be automatically added to our site. Note : this is totally transparent and works through keyword detection. 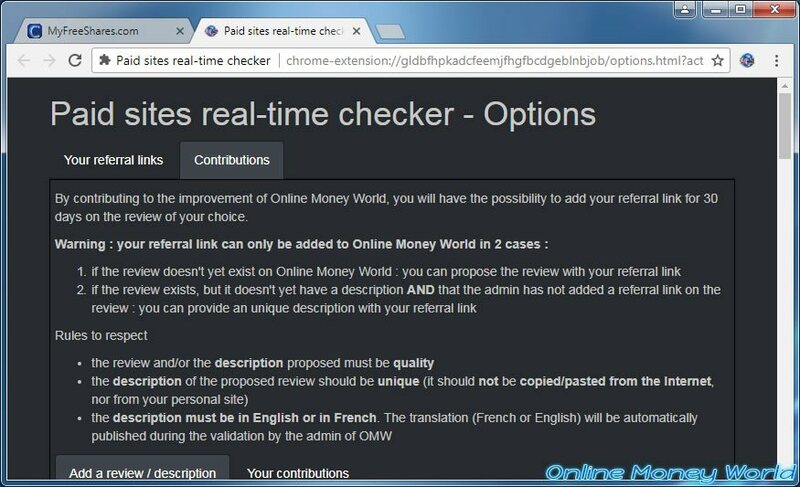 During the addition of the site on Online Money World, its status will be automatically checked from reliable sources. 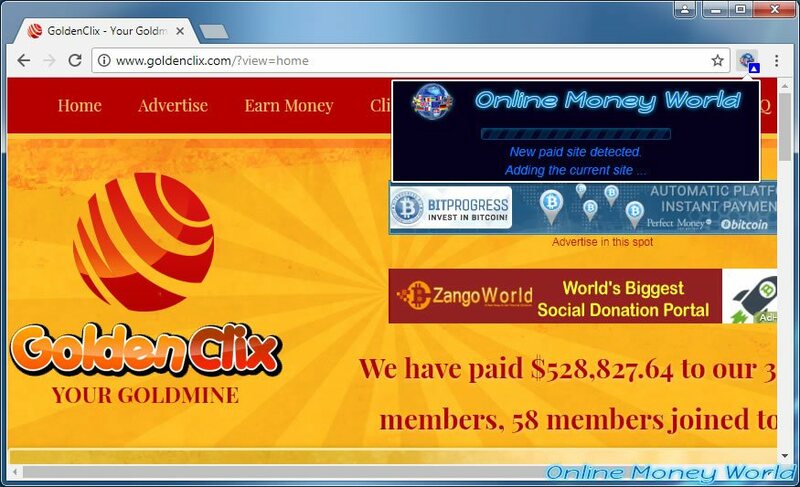 Finally, with our extension, you will be able to add your referral link for free on our site. To do this, simply submit a review for the concerned site or an unique description if an incomplete review (without description) already exists on our site. from the extension options : for all paid sites that are not yet referenced on our site or for which the review is incomplete. When you visit a paid site that is not automatically added by our extension, simply click on the "click here" link in the popup. By clicking on this link, you will arrive in the "Contributions" section of the options of our extension. As you can see, the proposal of a review is subject to certain conditions. 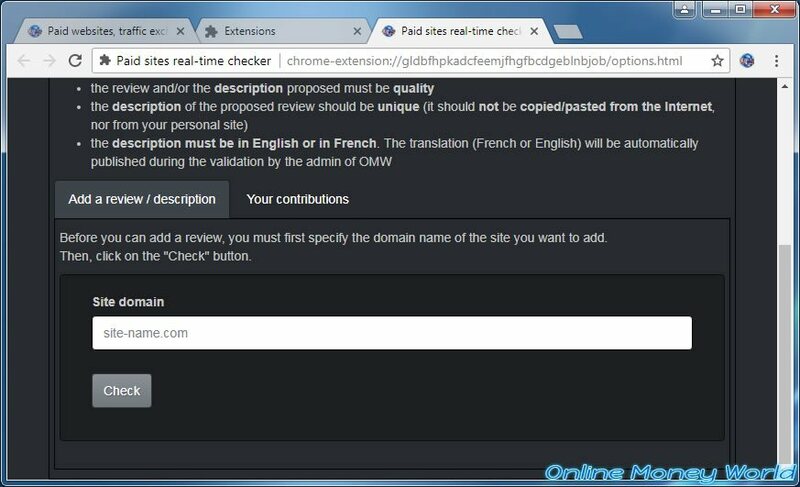 Nevertheless, these conditions are automatically checked before displaying the form to propose a review. 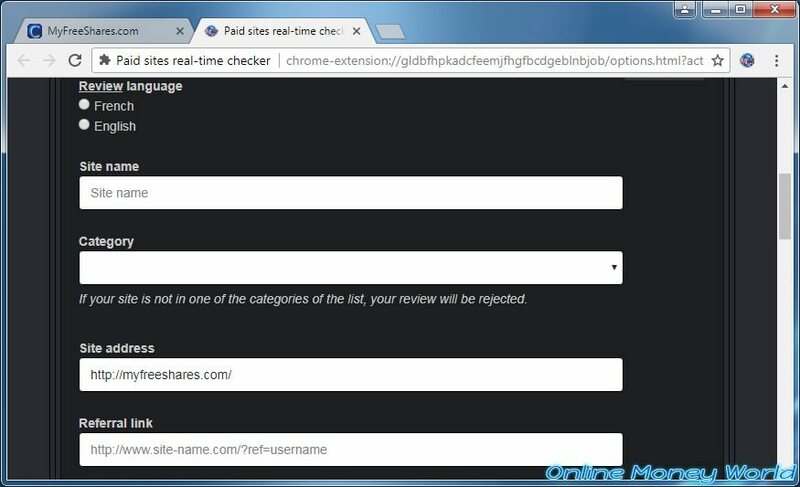 To propose a review, you will have to write an unique description and specify some additional information about the site. Once you submit your review, it will be added to our database and will be awaiting validation. 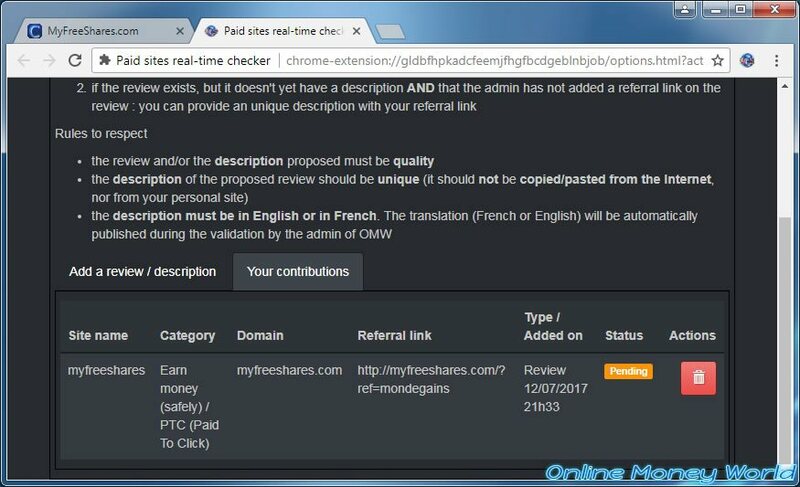 Thanks to our extension, you will be able to check the status of your contribution and your referral link (associated with the proposed site). Note : to save the bandwidth of our server, automatic verification is only performed once the page is loaded and once per 24h. 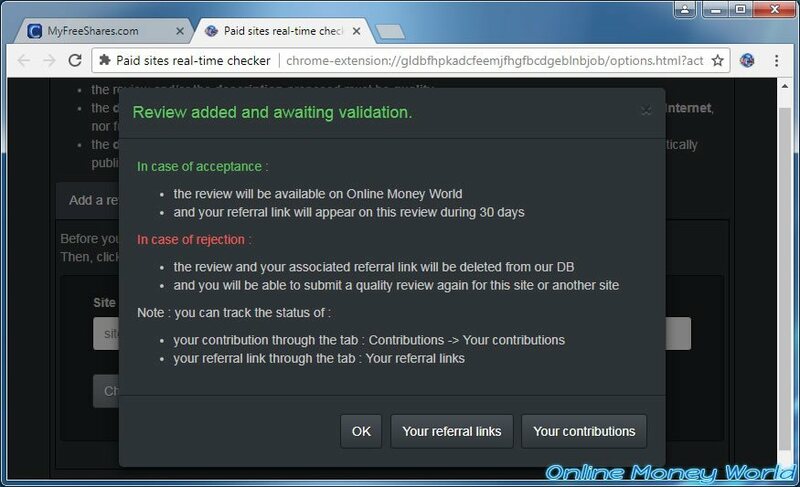 Once your review and your referral link have been validated by the admin of Online Money World, your review will appear on our site and your referral link will be displayed for 30 days from its validation date. Note that for transparency, the button will be displayed in light blue instead of the gray color used by default. In addition, when the button is highlighted, our visitors will see clearly that it is a referral link proposed by a user and not by us. 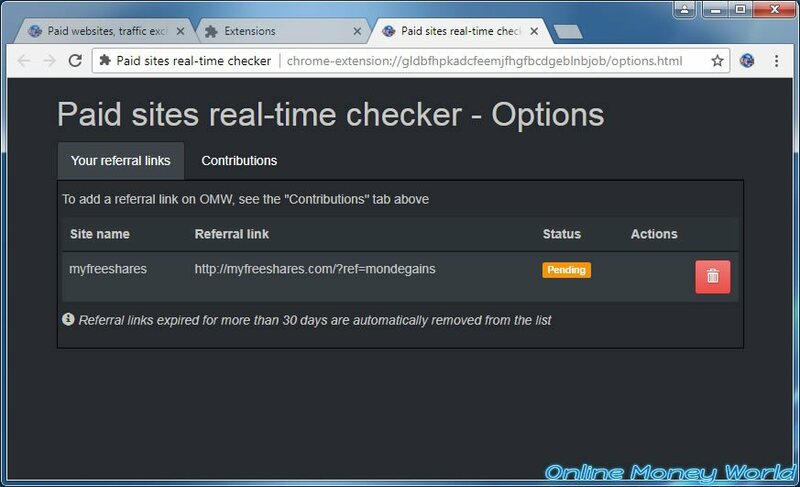 In the list of extensions displayed, find our "Paid sites real-time checker" extension and click on the "Options" link. 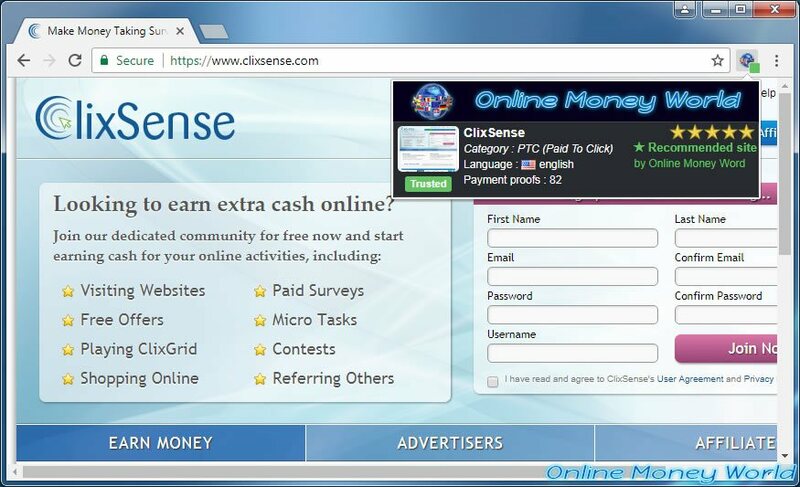 By clicking on this link, you will arrive on the "Paid sites real-time checker - Options" page. Go to the "Contributions" tab. At the bottom of the page (in the "Add a review / description" tab), you will need to specify the domain of the site you wish to propose. Then, click on the Check button. Note : if adding a review or a description is allowed for the checked site, the form will be displayed, otherwise, an error will appear.